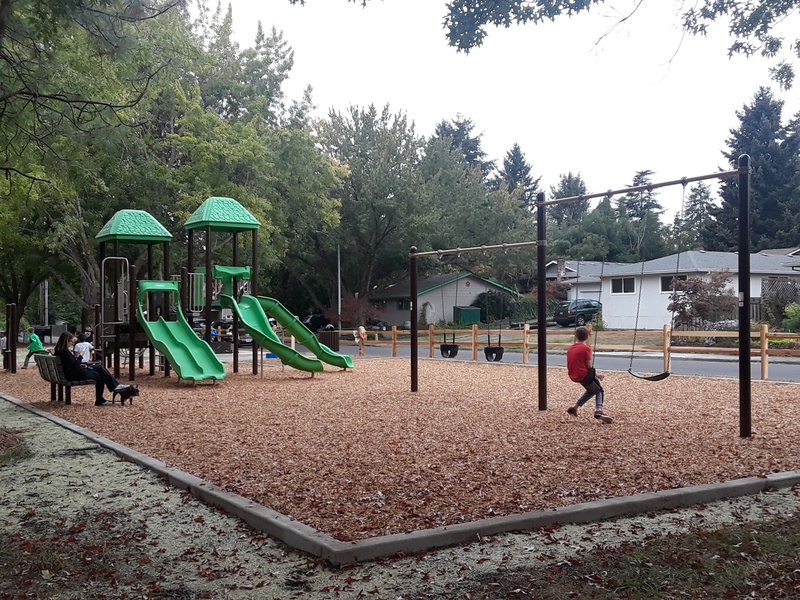 Butternut Park is a two-and-a-half-acre neighborhood park in Aloha, at the intersection of SW 192nd Avenue and SW Butternut Street. 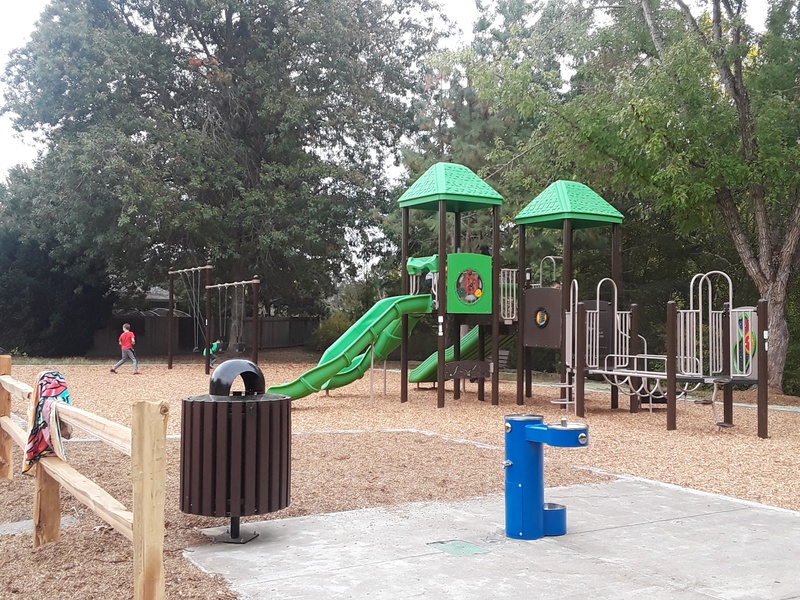 Perfect for an afternoon visit, Butternut Park has a picnic table, park bench, and drinking fountain with pet bowl. A play structure features three different slides and climbing features. 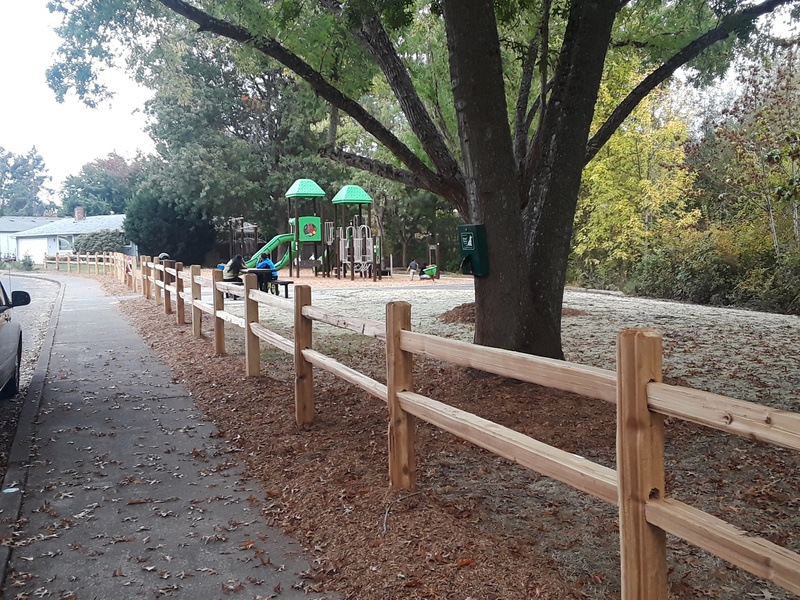 There are also toddler swings and belt swings for older children. .
A small pedestrian bridge on a paved walking path crosses Butternut Creek, which flows west toward the Tualatin River. 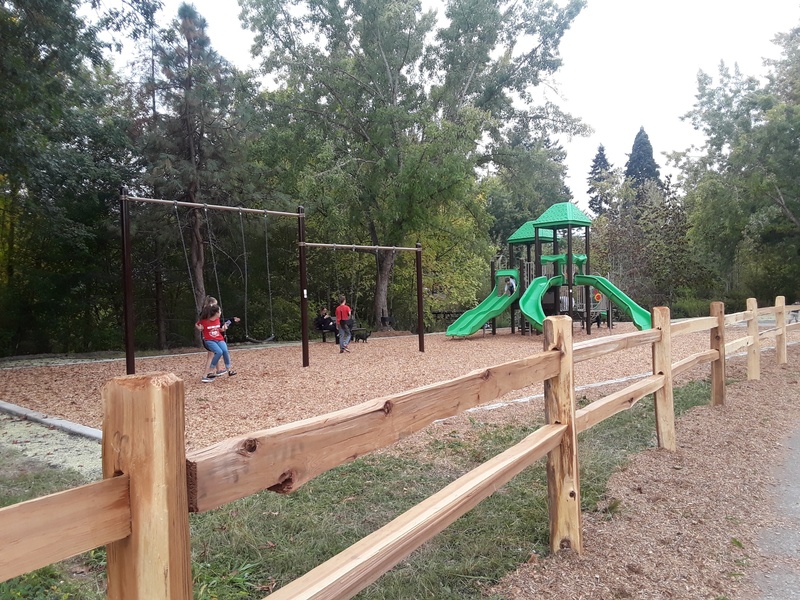 For families, playground play can be combined with nature exploration by the creek.